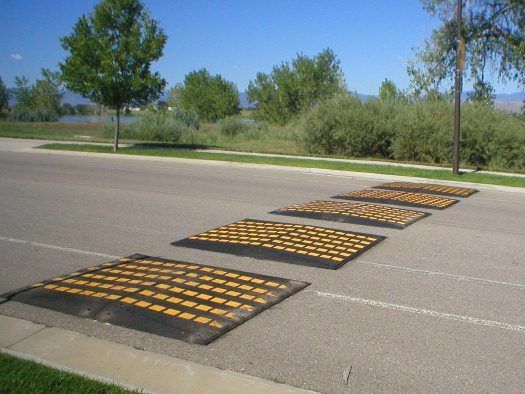 Speed cushions are either speed humps or speed tables that include wheel cutouts to allow large vehicles to pass unaffected, while reducing passenger car speeds. They can be offset to allow unimpeded passage by emergency vehicles and are typically used on key emergency response routes. 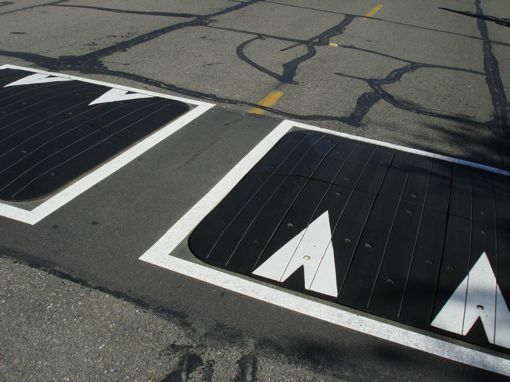 Speed cushions extend across one direction of travel from the centerline, with longitudinal gap provided to allow wide wheel base vehicles to avoid going over the hump. 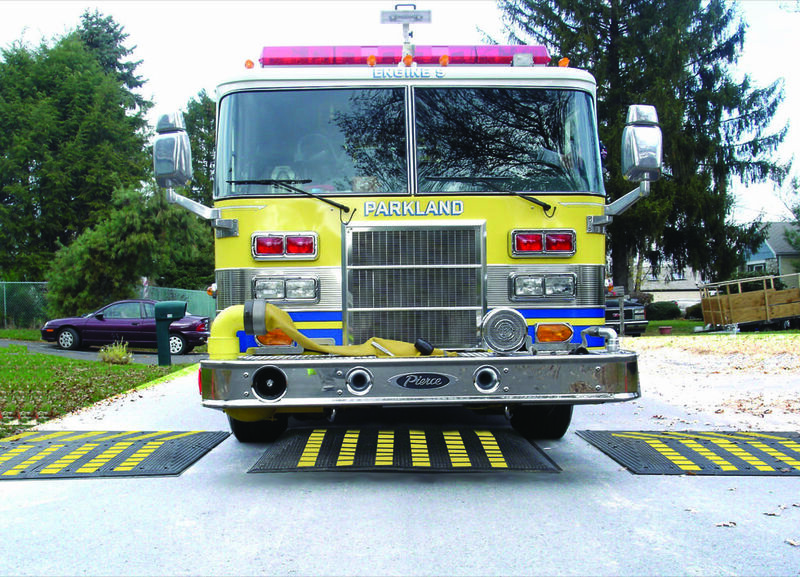 Speed cushions allow emergency vehicles to pass their wheels on either side of the raised area. For more information on traffic calming treatments and emergency vehicles, see "Emergency Response: Traffic Calming and Traditional Neighborhood Streets," by Dan Burden and Paul Zykofsky, 2001 and Kevin Chang and Matthew Nolan, An Evaluation of Speed Cushions on Neighborhood Streets: Balancing Emergency Vehicle Mobility With Traffic Calming Needs (Washington, D.C.: Institute for Transportation Engineers, 2006). 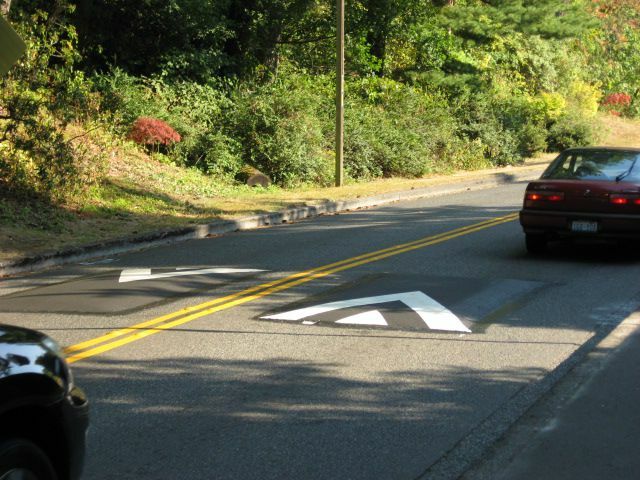 Speed Cushions shall be accompanied by a sign warning drivers (MUTCD W17-1). Locate speed cushions where there is sufficient visibility and available lighting. 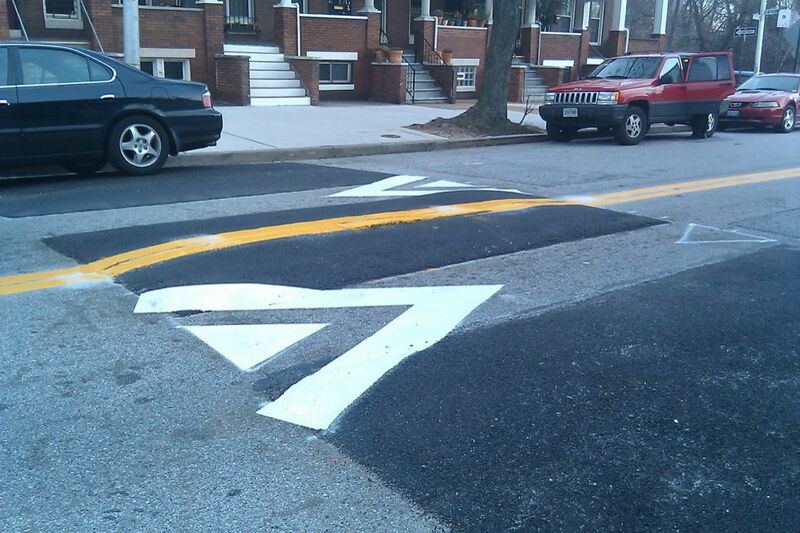 Bus routes may have speed cushions installed on certain routes. 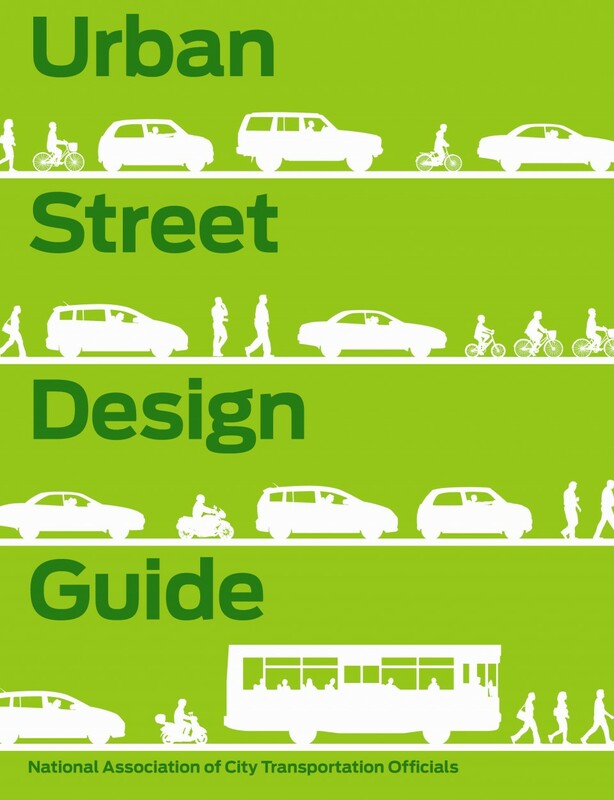 Work with local transit providers and bus companies to ensure that drivers re aware of traffic calming devices and can effectively use wheel cut-outs provided. Emergency services should act in coordination with transportation departments, recognizing that reducing speeds and volumes on local roadways benefits overall safety goals by reducing crash frequency and severity. Develop an emergency response route classification map at the onset of the planning process. Emergency vehicle response times should be considered where vertical speed control mechanisms are used. Because emergency vehicles have a wider wheel base than passenger cars, speed cushions allow them to pass unimpeded while slowing most traffic. 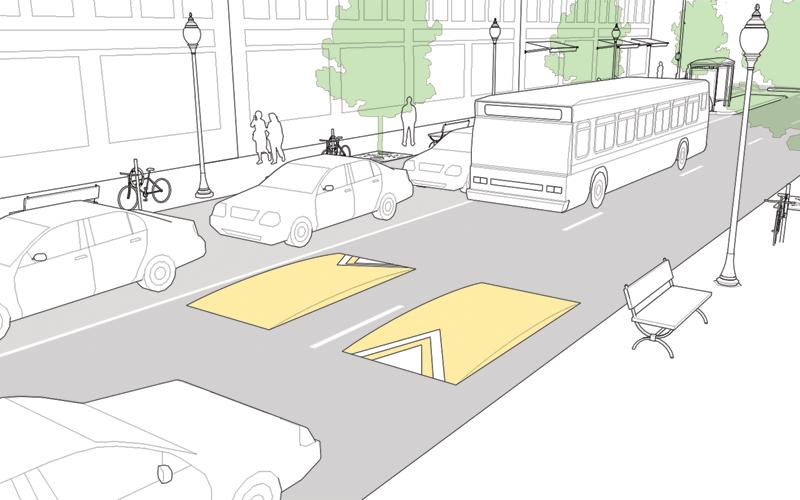 Allow a limited set of emergency vehicle-friendly traffic calming techniques on emergency response routes. Estimate travel time impacts on emergency vehicle response time and define goals to evaluate during a trial. Implement speed management treatments on a trial basis and work with emergency response officials to determine whether permanent features are appropriate. 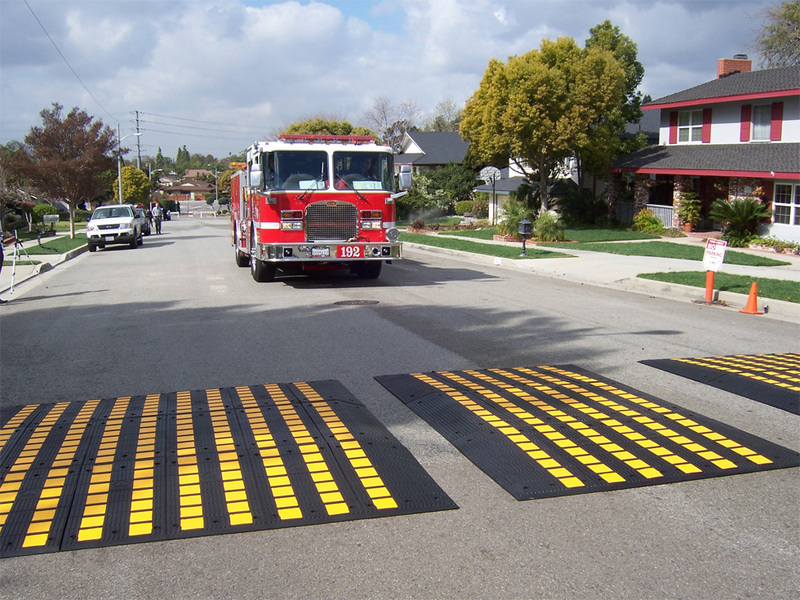 In one case study in King County, WA, the fire department found cushions minimized response time increases as compared to other traffic calming devices. 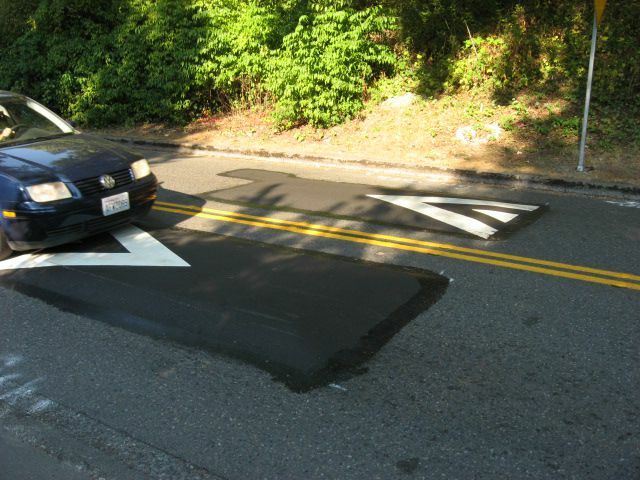 Kevin Chang and Matthew Nolan, An Evaluation of Speed Cushions on Neighborhood Streets: Balancing Emergency Vehicle Mobility With Traffic Calming Needs (Washington, D.C.: Institute for Transportation Engineers, 2006). Aggregate Industries. “Speed-Pod: Sustainable Precast Concrete Speed Cushions.” Aggregate Industries, Charcon, 2009. Berthod, Catherine, and Carole Leclerc. 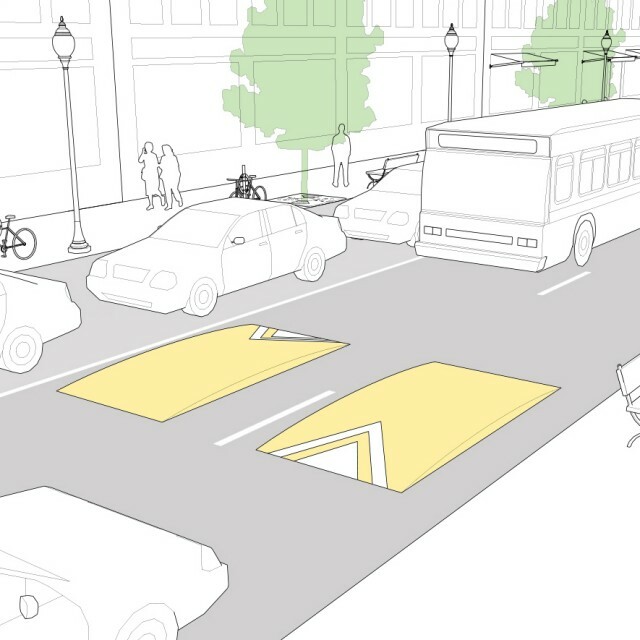 "Traffic Calming in Québec: Speed Humps and Speed Cushions." Journal of Civil Engineering and Architecture (2013): 7(4), 456-465. Chang, Kevin N., and Matthew Nolan. 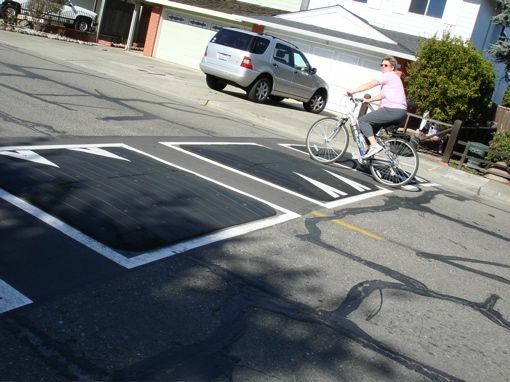 "An Evaluation of Speed Cushions on Neighborhood Streets: Balancing Emergency Vehicle Mobility with Traffic Calming Needs." Prepared for the 2006 ITE Annual Meeting and Exhibit Compendium of Technical Papers, Milwaukee, Wisconsin, August 6-9, 2006. City of Berkeley. 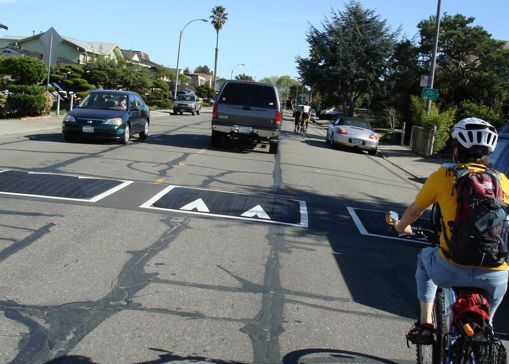 “Installation of Speed Cushions as a Physical Traffic Calming Option.” Action Calendar. Berkeley: 2009. City of Grosse Pointe Department of Public Safety. 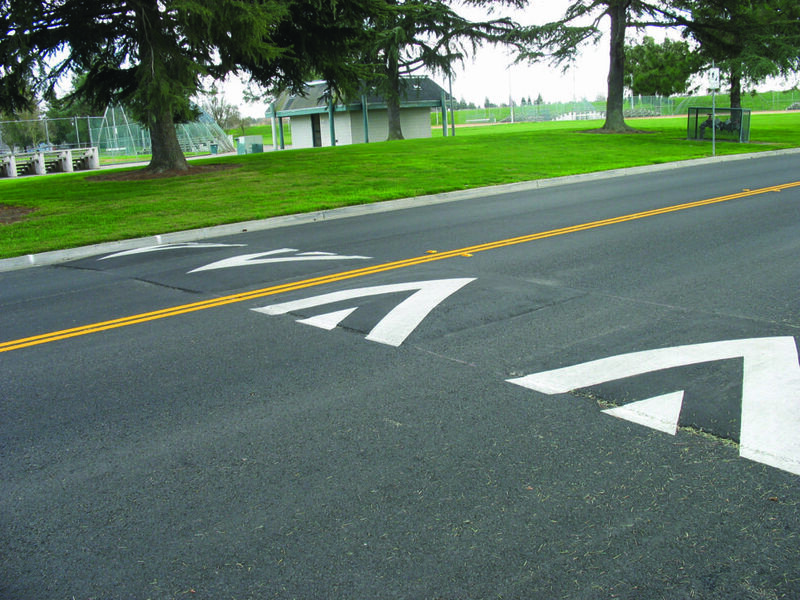 “Speed Cushions: A Traffic Calming Technique.” Grosse Point, MI: E.M.U School of Police Staff and Command, 2003. References for Speed Cushion: 6 found.